Is This The Life? : "I'd like to devour you..."
While researching my Compiled series, I was reminded of this absolute gem of a track. 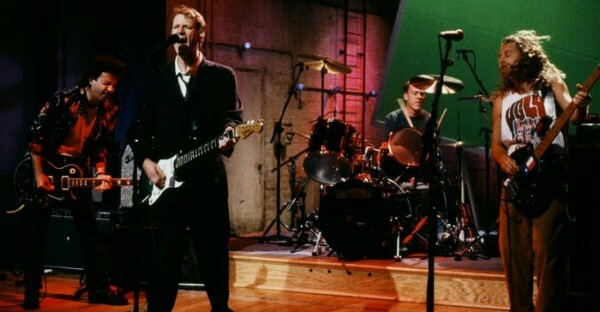 Cracker was formed by ex-members of Camper Van Beethoven. Their second album 'Kerosene Hat' took them to the cusp of being quite big but, alas, fame never came calling. Or maybe Cracker just made sure they weren't at home when it did. Who knows? Anyway, I was going to write about a compilation which featured this track, but realised that there weren't many other songs on there I actually liked that much. Movie Star hit me the first time I heard it. Twenty-three years later, it still delights. It has bags of energy, barrels of wit and bundles of fun. Why it was never put out as a single is absolutely mystifying. It just missed out on my '50 songs to take to my grave' list and I could be convinced to reconsider one of my choices in order to make room for it. I used to jump around in my room an awful lot to this track back in the day. Cracker are still going. Here they are playing a storming version of Movie Star at the legendary 40 Watt Club in Athens, GA. back in January.